I’ve been coming down with a cold for a while now, but it really started to set in Saturday night. Stuffy nose begat sore throat begat fun cough, intense enough that by yesterday afternoon, my chest started to hurt. Well, this post-Thanksgiving Cold of Doom has officially ensnared my husband, who left work early yesterday with an achy head and raw throat. Today, both of us are riding the couch, pounding fluids and trying not to feel sorry for our infirm selves. In the tea bag itself. 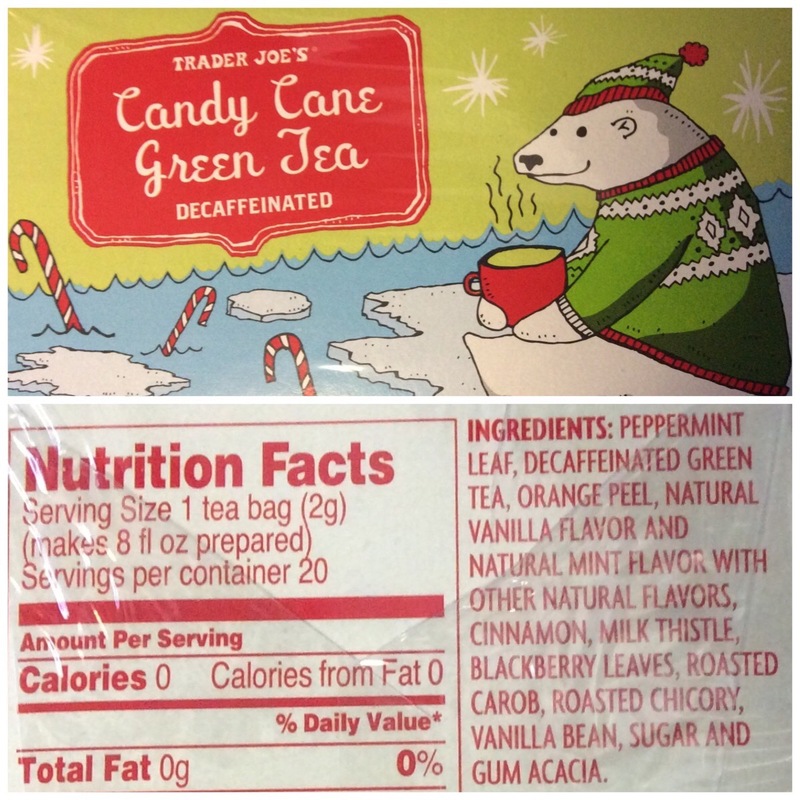 I opted for 100% straight-up peppermint instead. It makes me so sad how sneaky the sugar can be, even in a Trader Joe’s product. Where will they stop? When will the madness end? So about six weeks ago, in a renewed quest for greater health and well-being, my candy- and white carb-loving husband and I embarked on a new adventure: a no-sugar, no-flour diet eating plan. It hasn’t been nearly as hard as we’d both feared, to be honest. The most difficult part has been finding all of the hidden sugar in the foods we eat. Like, the kind that sneaks into mayo and (here’s a favorite) ShopRite brand chicken stock. Really? Sugar in chicken stock? What’s THAT about? I read the ingredients out to Joe. “No wonder they were so tasty,” he said. This reminded me of a very important lesson: ALWAYS READ THE LABEL. 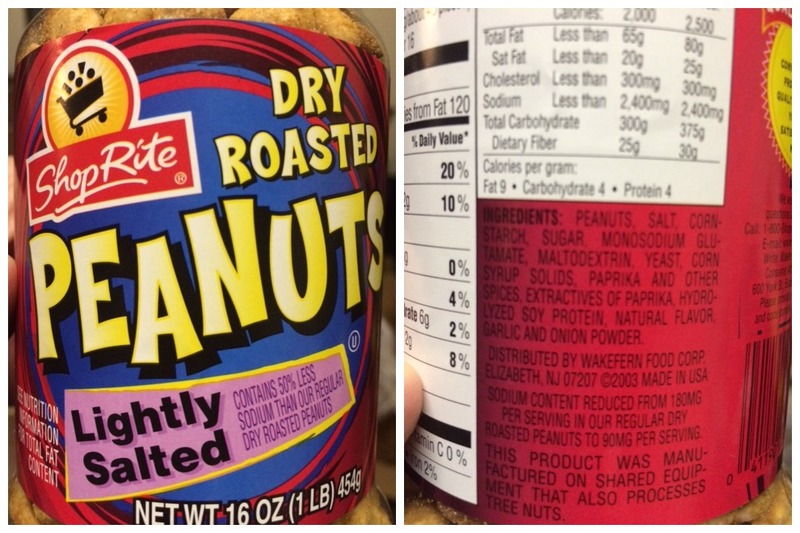 I mean, you can see, nothing about these peanuts indicates that they are seasoned with both sugar AND corn syrup solids. Nothing screams “extractives of paprika” or garlic and onion powder. Note that there is “natural flavor” added into this mix of very unnatural flavors. Thanks, but no thanks, ShopRite. These will likely end up on the free table at one of our offices. To whichever co-worker ends up with these in their tummy, I extend my sincerest apologies.